Few days ago Instagram has added a video upload/share feature. Now users can not only share their photos, they can now upload and share their videos also. Millions of users are already using this platform. In our previous post, we have shown you how to Display Instagram Photos in Blogger. Today, In this tutorial we will show you How to Embed Instagram Videos in Blogger. If you are a Wp user then read given article also. Go to the URL of the video on Instagram. For an instance, we will be using this video. 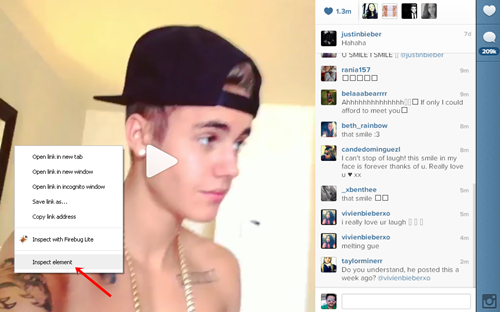 In your broswer, right click on the Instagram video and select “Inspect element”. This is a second easiest method to embed Instagram videos in your Blogger blog. We hope this tutorial helped you to embed Instagram videos in Blogger. If you need our help regarding this tutorial. Let us know via comments. Awesome, this feature is awesome and very useful..